4 WHEEL DRIVE! LONGHORN PACKAGE! CUMMINS DIESEL! WARRANTY INCLUDED! AutoCheck Certified Accident Free! 4 Wheel Drive! Cummins Diesel! Laramie Longhorn Package! Navigation! Heated & Cooled Leather Seats! Navigation! Back Up Camera! LIFETIME POWERTRAIN WARRANTY INCLUDED! 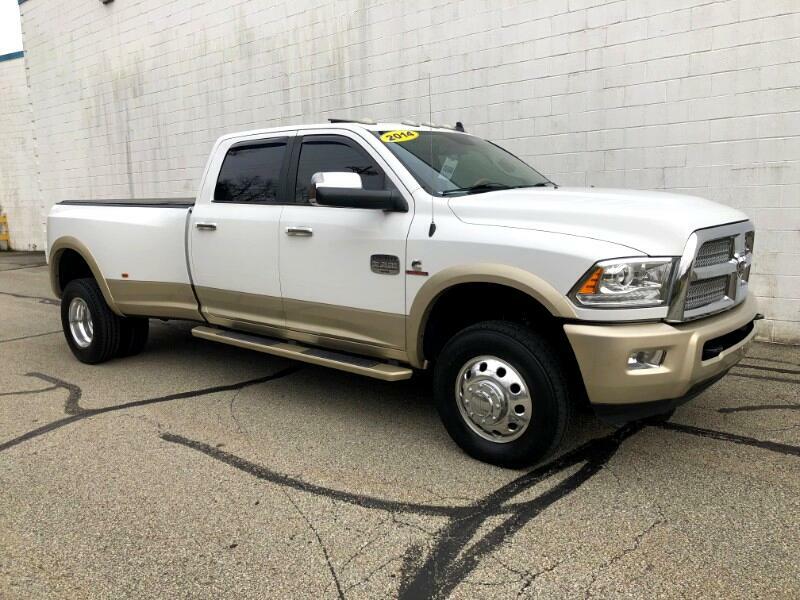 Don't miss out on this fantastic RAM 3500 Laramie Longhorn Crew Cab Long Bed Dual Rear Wheel 4 wheel drive diesel truck! With it's powerful yet efficient Cummins 6.7L V6 turbodiesel engine matched with a 6 speed automatic transmission, this RAM 3500 Laramie Longhorn Crew Cab DRW 4x4 diesel truck has the power and torque to get the job done! Excellent condition inside and out! Go anywhere in any type of weather with it's 4 wheel drive system! Very well equipped with power windows, power locks, power mirrors, keyless entry, dual power heated and cooled premium leather seats, push button start, premium AM/FM/SAT stereo, Navigation, Bluetooth for phone, back up camera, premium alloy wheels, bed cover, fixed running boards, power moonroof, power sliding rear window and SO MUCH MORE! LIFETIME POWERTRAIN WARRANTY INCLUDED PLUS 1 YEAR MAINTENANCE PACKAGE INCLUDED! See salesperson for complete details.Give us a call today at Choice Auto Sales for your personal showing and test drive of this fantastic RAM 3500 Laramie Longhorn Crew Cab Long Bed Dual Rear Wheel 4 wheel drive diesel truck!